Earlier today, I had to take my work home to wait for a service call to repair a defec t in one of my sinks. After receiving a heavy knock on the door, I opened the door to an individual who, out of respect, I'll call 'Bob'. So here stands Bob at my door, using the two-way walkie portion of his phone. A - "Hi, here to fix the sink, I take it?" B - "You hold up a second, I'm on the phone. Yeah, I just got here, cut me some slack." He then lowered the phone, closes it, and screams (yes, screams), his utter discontent at his manager, using the f-word 3 times to nobody. I am the only person near him. "Sorry for the language," he says with a sarcastic tone. I make some idle conversation, and he tells me that the sink will need to be replaced and he has two models. I tell him that is my landlord's call. He then proceeds to tell me that "you will take whatever faucet I feel like giving you." I stood there stunned. I was absolutely floored. 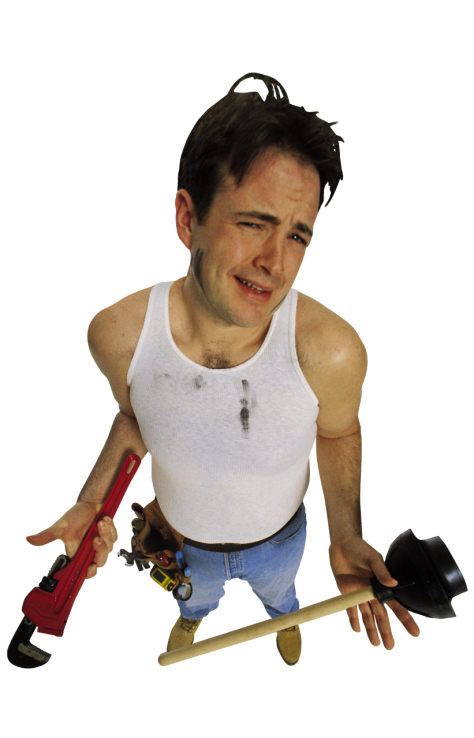 This was the single worst repairman I have ever interacted with; I couldn't believe I let him into my house. I've dealt with people like this before, but what if it wasn't me? What if it was my sister or my mother? The moral of this story is short and to the point. I read a recent report that has speculated approximately 70% of the jobs in the United States are in some way a service-oriented job, and I hope 100% of those employees are better than my repairman, Bob. Customer service, dependability, professionalism are important traits to find in a service employee. Even I thought some of these were "nice to have." This reaffirmed for me that they're not just 'nice-to-have' traits, but absolutely essential. It's unfortunate, but I expect to see this company losing my landlord's business after I call him this evening. I just can't justify knowing this would happen again. If you employ service employees, it's highly recommended that you use a selection process that measures critical customer service traits - and consider employee assessments in your process to get the best measure of these traits. Having the right people in direct contact with your clientele can be the difference between keep - or in my case - losing a customer. For example, ServiceFit can decrease the cost of obtaining customer-focused, productive and dependable employees. You know, to identify high-risk candidates - like my pal, Bob. "Hiring Friendly, Dependable & Productive Workers"